I stumbled across the sole post on this almost vacant WordPress site this morning. 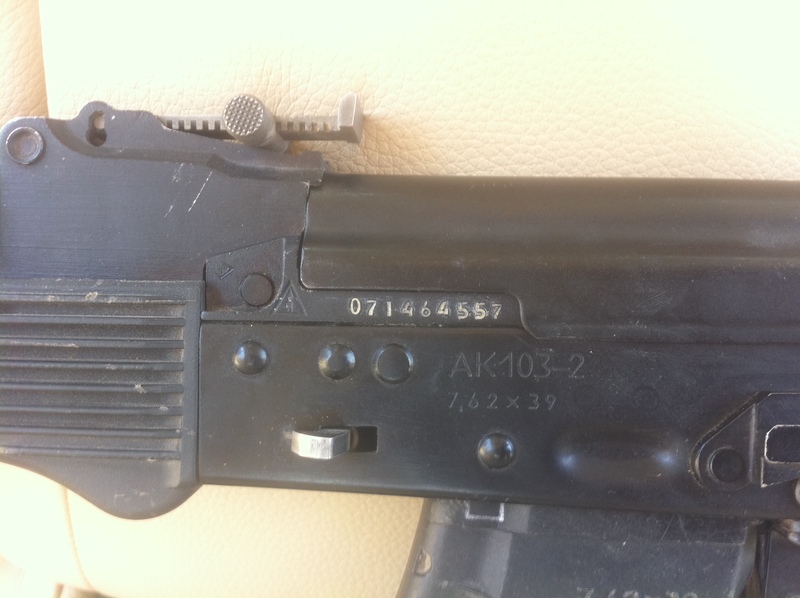 It features photos which show close-up detail of an AK-103, apparently from Libya. These are the first photographs I have seen that show sufficient detail of the receiver to conclusively establish the provenance of the weapons in question. These images, along with the evidence shown in the last update, lend more weight to one of my original speculations that these weapons were exported to Libya from Russia. The receiver bears the designation ‘AK 103-2’, indicating that the weapon features a three-round burst function. More tellingly, to the left of the serial number, on the trunnion, can be seen the factory marking of the Izhevsk Machine-Building Plant, or IZHMASH (ИЖМАШ), an upright arrow inside a triangle. The serial number, beginning with the two digits ’07’, indicates that the rifle was manufactured in 2007. 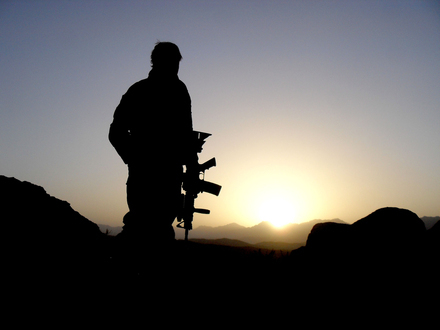 Over the last few weeks I have been in correspondence with various officials from Defence, discussing the specifics and the impact of the upcoming Australian MultiCam Pattern (AMP). This new pattern is being developed by Crype Precision for the ADF – you can read more about this in an earlier Security Scholar article, here. Will the new AMP pattern follow the British MTP example and feature Crye’s MultiCam palette with a modified design, or are the colours being adjusted in any way? Response: The prototype pattern has retained the Crye Multicam palette as it is these colours that have proven to be effective in Afghanistan. During the testing of the Australian Multicam Pattern Defence will confirm both the pattern and the palette meet the requirements for Afghanistan as well as examining what changes, if any, would improve its performance across the range of environments where Australian troops are operating. For the next two months, I will be travelling through and writing from Indonesia; the first stop on my itinerary was Bali. Bali is a bustling place right now: the traffic flows, the tourists chatter, the smiles are abound, and there is general busy-ness in every direction. Even the surfer dogs are upbeat. But nine years ago, it was not always like this. Today, we commemorate the ninth anniversary of the first Bali bombing that took place in 2002; an explosion that tore through the Sari nightclub on a busy Saturday evening, claiming 202 lives and injuring 240. I spent most of the day around the bomb memorial—a magnificent Hindu carving in the wall where the nightclub once stood, with bouquets of flowers hugging its base. My aim was to get a ground-level snapshot of how life went on a day like today.